Testing is an integral part of the manufacturing process, which ensures defects are rooted out and resolved before a product reaches its customer. However, many people believe that testing is optional - something you do after a product has been made. In fact, testing should be carried out at various stages along the way. 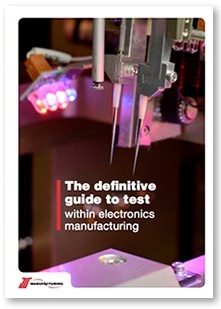 In this eBook, we will explore in detail seven different types of test and how each is intended to prevent and minimise manufacturing defects.